Posted on June 26, 2015 at 3:01:00 am by Jodi D.
In the heart of Grabill is a grocery store like no other in Allen County. The store has rows and rows of bulk food items, including soups mixes, pasta dinners, snack mixes and sugary goods. Meats, cheese, breads, cookies and baked goods are also available. If you are in need of a quick fix for your pantry, I recommend the following mixes: cheddar, broccoli soup and chicken stock mix. These two items are may favorite, quick mixes for cool nights. I often stock up on these mixes at the end of the summer for my winter pantry. If you are in the mood for lunch or dinner the market has a full buffet and an area with seats for eating. Grabill County Market is located behind the Sav-a-lot. I love to spoil my pre-school aged nephews. So, I often purchase one-a-kind gifts for my rough and tumble little guys! Katie&apos;s General Store is on my list for unique toys and children&apos;s furniture. From old-fashioned wooden spinners to rocking horses, Katie&apos;s General Store offers a wide-selection of fun toys. The store, operated by old-order Amish, offers a great array of adult furniture and quilting materials, too. If you desire, you can ask for a tour of where the furniture is made. It&apos;s a treat to see a modern day Amish workshop! I am tryulyin awe of the quality of the Amish. Katie&apos;s General Store is located at the corner of Schwartz & Witmer Roads. If you love candy this is your destination! This quaint shop is full of old fashioned soda, yummy candy and great baked goods. The store offers fun novelty gifts for those on your giving list. 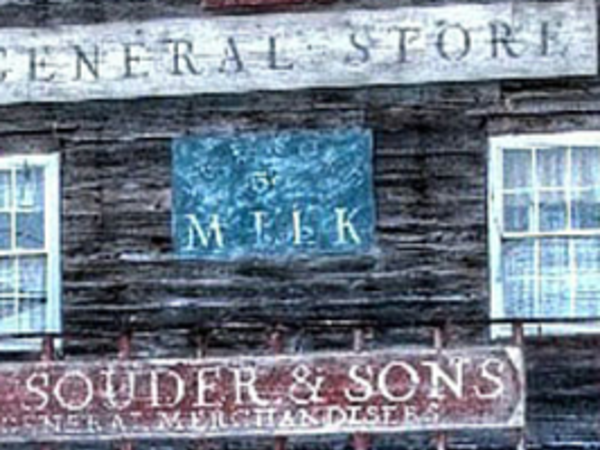 H. Souder & Sons General Store is located on Main Street just south of the H. Souder&apos;s Flea Market. Look for the two-story log building. Jodi D. is a consultant for faith-based, private and independent schools. In her spare time, she loves to spend time volunteering for area nonprofit organizations and playing with her two young nephews. She also enjoys visiting area ethnic restaurants. Find Jodi on Twitter @ConsultJodi.